The cold days are officially here, so you cannot leave your home without a piece of outerwear. Leather jackets and trench coats are the most common choice for these days. Also, you can wear a poncho if you want to make a statement. Ponchos have become quite popular recently, so today we would like to show you how you can style them. Ponchos were first designed as a cultural garment by the natives in South America. And nowadays, they are considered as a must-have fashion staple, especially during this time of the year. 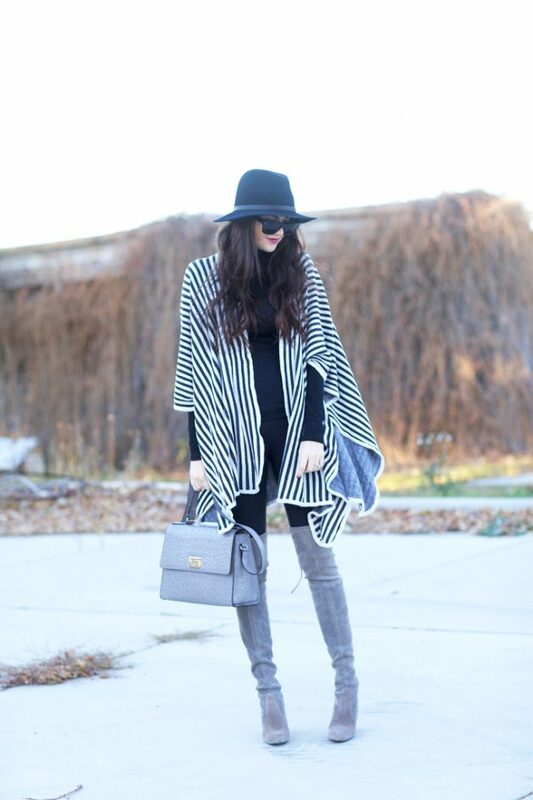 A poncho is lighter option to a winter coat and a heavier alternative than sweater. This fashion staple always makes a statement, so you may find it tricky to style it. Below, we have chosen several outfit ideas with ponchos to get you inspired of how to style them like a fashion blogger. Check them out and do not hesitate to copy them. Enjoy! Ponchos can be found in versatile styles, colors and patterns. The patterned ponchos are the ones that can make you stand out from the crowd. And since there are many patterns to choose from, there is definitely a poncho for everyone’s taste. As you can notice, ponchos ca be part of versatile outfit combos. You can wear them with some top and jeans combo. Or you can also wear your favorite poncho with some fall dress or top and skirt combo. 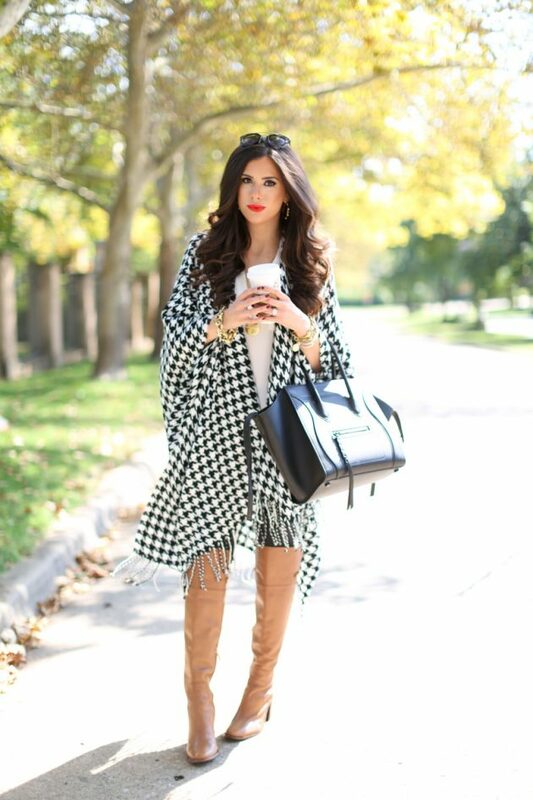 If you choose a patterned poncho, then make sure to keep the rest of the outfit simple. This means, that you should wear a one colored shirt or sweater instead of a printed one. This will be also teh rule when wearing poncho with a dress. So, which one from the above outfits with poncho did you like the best? Tell us in the comments and of do not hesitate to wear this fashion staple during the upcoming fall days. Thank you for reading and don’t forget to stay up to date with the content of Fashionsy to keep up with the latest fashion and beauty trends.